A Danger at any Speed? 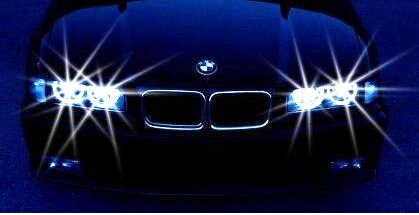 “RoSPA’s view is that if cars are fitted with Daytime Running Lights, then there is much concern that the conspicuity of other road users without DRL will suffer. 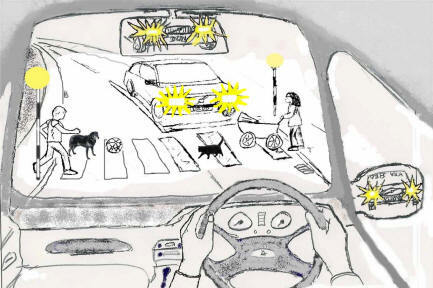 The risk is that when drivers are making observations and looking out for other road users, that drivers will search for the DRL on other vehicles rather than surveying the whole scene and spotting vulnerable road users such as cyclists and pedestrians. “This is a serious concern as research has shown that ‘looked but failing to see’ errors contribute to 23 per cent of unimpaired drivers’ accidents during daylight, and a more recent report identified that 32 per cent of all accidents were caused when road users ‘failed to look properly’. Cyclists are at a risk of suffering a serious injury if hit by a car and so being spotted by other road users is important to a cyclist’s safety. “Although the counter argument would be that DRL may make it easier for cyclists to spot cars, enabling them to plan an ‘escape route’ to prevent an accident if the car were to pull out, it does not address the issue of drivers making poor or incomplete observations and failing to spot a cyclist. Pedestrians, cyclists, motorcyclists and drivers desire to share the common road space in safety with the maximum of consideration and courtesy towards each other. Safety should never be intrusive or obtained at a disadvantage to others, current DRL are a selfish concept based upon outmoded wasteful technology. Daytime headlights are intended to reduce accidents to one group of road users and one or type officially termed "multi-party vehicle accident". Why should one group of road users who are cocooned in airbag equipped padded metal boxes which have reinforcing beams and crumple zones try to obtain safety at the expense of vulnerable road users? "So do we have to equip school children with headlamps and car batteries in their satchels?" - please see Quotes. Because safety sells, certain manufacturers promote bright 55watt daytime running lights, governments like DRL because the extra fuel gives them more tax revenue, lamp bulb manufacturers like them because standard bulbs burn out every 10,000 -12,000 miles and garages like them because they charge for fitting new lamps at service intervals. DRL were introduced by the Swedish in 1977 after they changed from driving on the left to the right in 1967 and have kept them up as a marketing gimmick. Like the tailors in charming story of the “Emperors New Clothes” by the Danish author Hans Christian Anderson, the proponents of DRL have fooled the world. Volvo may claim less vehicles run into their cars, but if everyone in the UK used daytime lights, any benefit would be negated due to drivers reduced ability to perceive hazards. The EU is trying to impose DRL universally across the community. Italy in 2002, the battle rages in France (see Motorcyclists) so it is likely that the UK and Germany will be their next targets. Interestingly, whist the EU have many academic DRL studies promulgating benefits of a 5% reduction in accidents, in reality the EU are unable to produce an real world evidence of any benefit. The UK government is aware of this problem and has introduced a new hazard perception element to the driving test. The UK government has reservations about the effectiveness of full power DRL. We have evidence that when DRL were introduced into the USA, injuries increased particularly to the occupants of Volvo cars. DRL violate human rights. All are entitled to equal protection against any discrimination in violation of this Declaration and against any incitement to such discrimination.